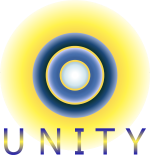 Some of the frequently asked questions that individuals ask prior to receiving the Unity Bubble, below. Should you have any questions, feel free to contact Hazel. My life is just fine – why would I need a Bubble? If you have ever had the thought/feeling that there must be “more” to life, then the Bubble will guide you to discovering that “more”... gentle promptings from the larger aspect of yourself. I have a strict religious practice – do I have to give up my religion if I do the Bubble? Absolutely not. You have every right to follow whatever religion, path or philosophy you wish – or none at all. The Bubble is about self-realization which, after all, is the kernel of all true seeking. Whatever your preferred practice is, the Bubble will make it more meaningful as you journey towards being the best that you can be in every moment, without struggle. If you have a sustained meditation practice, then the Unity Bubble will be of particular assistance. You have acclimatized to the inner life. It will become deeper with greater clarity of focus and perception. Is the Bubble dangerous in any way? No, the Bubble is neither dangerous nor harmful in any way. It is designed as a purely positive space to enhance spiritual development. Indeed because of its origins and intent it is an especially clean and safe space, free from external spirit turbulence. If I don’t like the Bubble, can I remove it? It is not really a question of removing it, because the Bubble process reveals knowledge and increasing awareness to its recipients. How then can that awareness and knowledge be removed? Once you know something, how can you then choose to un-know? I don’t feel my Bubble – how can I be sure that I still have it? Many people don’t feel their Bubble. It is still present. There are other ways to be aware. One can know without knowing how one does. It depends on your current and past experience and if you are familiar to feeling into your subtle bodies. The more you practice being still and listening to your inner voice, the more sensitive you will become. You can be assured that as long as you were open to receiving it (which you were! ), you do have your Bubble. What do you mean by shifting to the heart? What we found is this: feelings are precursors to either thought or emotions – then we process them in more comfortable ways for ourselves. Feeling is a soul quality. Feelings are always true for us, emotions or thoughts not always. Feelings are connected through the heart-stream directly to soul; emotions to the invisible emotional body; thoughts to the mental body, also invisible. We think it is our brain but brain is like a hard drive for the software of thinking. Brain processes thoughts for expression. Brain doesn't think thoughts, mental body does. Results of emotional field are also felt in the body. Both these bodies/fields are like huge amplifiers for more subtle source feelings. These in turn allow us an intense direct experience here. We have identified ourselves as our thoughts, emotions and bodies, whereas these are aspects of our nature here for expression in this world. By increasing our self-awareness we embark on the return to our true identity and a life that is tasty without having to make do with hope for a better life “next time”. Really…think about it. Feelings are subtle, delicate and quiet but always there at the center. Pondering is one way in. One must practice listening for the "still small voice" which is easily overpowered either by thought or emotions as well as the ever present drama of life here. The world is engaging by nature and will ever remain so. This is why it is most important to practice being still. That is where the truth is. Thoughts will still be thinking, emotions still dancing but one learns to go to the center beyond either of these manifestations. We have erroneously identified ourselves as these two abilities, native to all the human family. We are much more than either of these "bodies" and as we practice listening to messages from the "heart", our being, speaks to us without words. We become connected. Each of us does this in our own way BUT it's good to know what one is really looking for before attempting the journey. The Unity Bubble can assist you in this direction by adding light and a safe space for us to live inside while finding our true self. So we spend time each day being silent. That is where we exist and have our being – in the silence. Eventually life is lived from there. As you access this place within you, you can use your well-developed thinking sense to design the life that you like and your emotions to build desire in the correct way. This is what I meant when I say the heart is the Sun and the mind is the moon. The moon does not give the Sun instructions. It does take time; "Rome wasn't built in a day", but the Bubble will ease and speed your process. Things that give you joy/happiness/love come from your heart so it is important to pay attention here. If thought and emotions become servants of heart, everything unfolds correctly in time. How can I help my “Bubble” process unfold easily? I am very stressed. Put your attention directly on the discomfort you are experiencing... for example the feeling of stress or anxiety. Do this without thoughts and stay in the feeling as long as is possible for you. Avoid judging – simply stay in the feeling and be with it. I know this sounds illogical but trust me it will work. You have lifetime habits that have worn deep tracks. When you focus on these feelings, see pictures as they come up in order. There is inner wisdom in how they are revealed to you when you wish to have relief. Trust your inner guidance. Follow the pictures in order as long as you can. See from the present and go backwards to the beginning. Stay with the pictures and examine each one until your attention goes to the next one. Each picture/experience will become uninteresting. Go to the next, then next. After you examine with your attention, without words, there will be some relief. If another picture comes to view, there is still more to unload... so keep on attending until the screen is perfectly clear. If you want to know more of the details when stress comes up ask your Bubble, "What is this about?” Pay attention and relax. Wait for the answer. There well may be many different directions for you to explore. If you have a challenge of not feeling good enough or smart enough, then you have believed this – therefore you have made it true for yourself. This is a process and takes time but you will feel better. Think backward to last week and you will notice you feel better now than you did then. You must build a new way. The old way hasn't been working for you. It is important that you quietly get to know silent feelings. Take at least 10 minutes per day, talk to, feel your Bubble. Feel into the energy inside your body. Gently pay attention here. You are not thoughts – you are beyond thoughts. Exercise seeing from inside what happens in your life. Be thankful inside even for difficult things. Your life will change and understanding will change too. Will the Bubble make me smarter and raise my IQ? I heard it will raise it to 300! We prefer to call this “Awareness Quotient”; IQ being rather “limiting” by a number of factors, cultural, societal and where one lives in the world. Then, also the unspoken and prevalent desire to number and quantify. The Bubble will assist you in raising your Awareness Quotient – your “AQ!” From this expanded state many new and amazing things become possible. It will not pass your exams for you – however it will give much help with your concentration, focus and imagination which will, in turn, make your learning more effective. Your day to day living evolves rapidly to be far more enjoyable. There are in your life many desired qualities you have never spoken aloud to another… least of all your mother! The Bubble will begin bringing these into play, so that you may notice with a secret smile, those other gifts awakening more easily and within your grasp… just a delightful taste of things to come. If we really had to pick a number, 300 sounds about right… but what's in a number? I want to contact ETs – will the Bubble do this? It is not specifically designed for this type of communication and does not make it happen. If you have shown interest to these groups, you have already opened the door or in other words, invited them into your personal space. If you do not wish this contact, then do not put any attention there. Change the subject. To them, your attention is the invitation that you wish contact. You are always the one in charge no matter what others might have you believe and yes...you can change your mind. The Bubble has and will stop those who are negatively oriented from continuing to interfere with your life and wishes. The contact is usually telepathic. Very few have ability to show up here in the flesh. For those of you who think they don't exist... well... surprise!